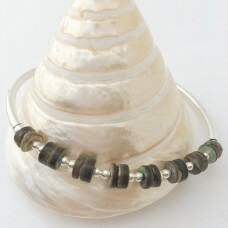 A beautiful Boho Style bracelet, made in the same way as the Classic Pebble Bracelet. I used Abalone.. These classic bracelets are a favourite. 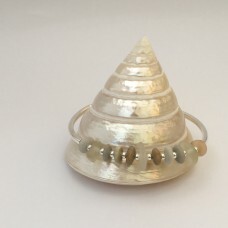 They come in various arrangements with pebbles of different.. This cute design suits young and old. 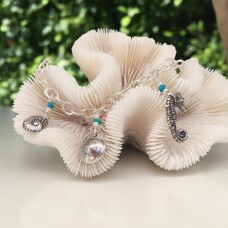 The simple cable chain is adorned with 3 fine silver seaside c.. 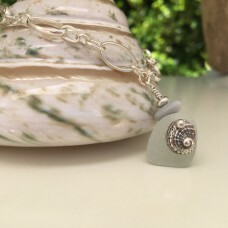 This classy pebble charm bracelet with fine silver abalone shell hangs off a chunky but elegant ster.. 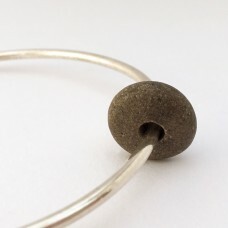 This simple and contemporary bangle is quite chunky, made with a 3mm thick sterling silver wire. The.. These contemporary bangles are a new favourite! 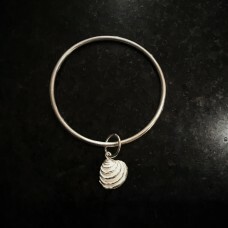 The sterling silver wire measures 2.5mm thick and th..